Mage Tactics is light and unique fantasy wargame for 2-4 players. It is skirmish-like, with a dice-less system and deterministic combat. 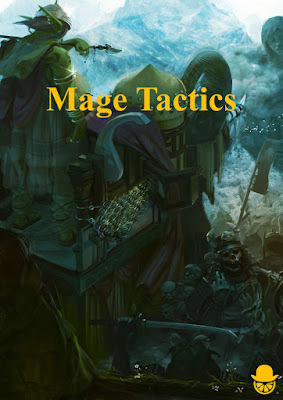 In Mage Tactics players start with a mage and a small pool of power. Mages use their power to summon units which may then be used to channel further power through and to ultimately attack the opposing mages. Players score victory with each successful strike on an enemy mage. The game ends after a set number of turns and the player with the most victory points is declared the winner. It's set in the same world as our first title Full Command and uses the same 18 mm fantasy miniature range from Eureka Miniatures.